This article was originally written for Ravens’ Call, The Tasmanian Pagan Alliance, Inc. magazine, Autumn / Winter 2015, No. 66. 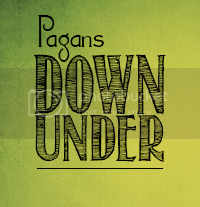 I offer it up here because I’ve been vastly remiss in my duties as a blogger, and am terribly behind on the Pagans Down Under blog project. Thankfully the mag and the project are both mostly seasonally themed. And I shamelessly tick off two topics with one post; “Ancestors”, & “Samhain”. Late as usual, and well aware I’m still one ‘Life and Death’ post down. And Jul already feels too close… sigh. It’s the time of year when, along with the heater, a few extra blankets, and larger coats, my knitting and needlework comes out to take up residence next to my seat on the lounge. It is getting colder, the poplars along my street are scattering little yellow ponds all over the footpaths and gutters, the gums are looking shaggy, and the smalls seems to be retreating into the darkness earlier than they were. Hallowmas and Jul are on the calendar. Like many women, my needlework is something I was taught by my Mum and my Grandma, my Great Grandmothers taught them. If we are lucky, and I am, little pieces of their handiwork are still part of our households, linens, table cloths, serviettes, doilies, so arcane now, but often grace my ancestor shrines. Little pieces of them, their delicate work, great skill, their love for their families woven together in front of a heat source, some quite night in the darker part of the year. For my Mum, my sister and I, knitting particularly is a Winter activity. It is simply too hot during Sydney Summers to sit with wool over the lap. But Winter is the perfect time to get out larger projects, and curl up beside the lamp light and keep busy and warm under large crocheted blankets and knitted woollen jumpers. When I was small, my Grandfather made for me a small wooden loom and fashioned me a metal shuttle, that sat on my lap, and I would weave little blankets for my dolls with the half balls of yarn left over from my Mother and Grandmother’s larger projects. That was Winter. As I’ve gotten older, these things seem to have taken on a greater importance, the legacy and skill of these women who made and wove, not just lovely clothes and linens, but me. We still exchange stories of our current projects, and still recall the different items our foremothers made, the speed of my Grandma’s fingers that could produce a jumper in little more than two days, we still strive for their skill, though we seem to have less time for these things now, such artistry feels sometimes quite beyond us in our busy working worlds. But it doesn’t diminish the joy of trying, nor the joy at remembering from where these things come; our most Beloved Dead Women. Hallowmas seems a perfectly opportune time for such activities. As a neo-pagan, the significance of the Ancestors is clear to me, and traditions, though changed over time, are still adhered to in Sweden, where my Grandfather was born, on All Saint’s Day. But the honoured place of the Ancestors goes much further back than Christianity and seems to have been a much more personal and idiosyncratic practice within the home. Though I don’t celebrate on All Saint’s Day specifically, it still forms part of the Triduum of All Hallows (All Hallow’s Eve, All Saint’s Day, All Soul’s Day), and indeed a whole period of the dark part of the year from Hallowmas to Candlemas (Imbolc) which we down under celebrate at the reverse time in the year to our European Ancestors. Sweden is a long way away from Sydney and Hobart, but the stories of weaving foremothers are much closer to home, and provide for us a link to a shared experience of them worldwide, that go all the way back to a time before memory. Knowing these stories can serve to anchor our own European weaving into the soil and green of Australia. One such story regards one of my favourite Australian trees and is full of the same humour and lessons as the stories my own women tell as we sit about clicking our needles and weaving. The story is told by Francis Bodkin, a D’harawal storyteller. D’harawal is a country of the peoples of south and western Sydney. The story is called Dahl’wal: How the Casuarinas came to be. And I retell it here in short form. This story is about the She-oaks (Casuarinas var.) called in the D’harawal language, Dahl’wal. It was told as part of the Warali Wali Art Project. And you can find the original stories in full here in pdf. I would like to acknowledge the traditional owners of the land from which these stories come, their ancestors past and present; the Clans of the Darug & D’harawal Nations. The story begins with the men complaining of the task of weaving the fibres of the Stringy Bark, twisting them to form string for fishing nets and other things, by rubbing them together against their thighs. They decided to convince the women to do this work, citing a need for hunting. The women amused themselves greatly with the thought of the men attempting to do this work with their hairy legs, and used the Sandpaper Fig to make their skin smooth and the work easy. The men expected the women to be much displeased, but instead found them happily sitting, chatting, making the string, laughing and sharing. As the women did this work, sitting together, the children gathered about to hear stories. The women would work, tell the stories of their clan, and care for the children. Whenever a child wandered from camp, they would listen for the sound of the women working, the sound of their voices and laughter and would not be lost, always finding their way back to camp. On the ground around the women, soft fibres fell from their work. Soft and warm. Sometimes the children fell asleep. If they awakened suddenly out of a nightmare the women comforted them and scared the nightmare demons away. Eventually, these women died, but the Creator Spirit was so happy with how they had cared for their children, told their stories and loved their work, he made them into tall strong trees. Trees unlike any other, with leaves like the fine fibres from their string making. When these leaves fall to the ground they make a soft, quiet mat in the bush. The children know, if they are lost, they can find these trees, the Dahl’wal, that we call the She-oaks, and sit and be safe on their soft mat, until their mothers come and find them. And if they listen, they can still hear the foremothers, Dahl’wal chatting and laughing in the wind. Of course, the whistling She-oak is a well-known phenomena all around the country, particularly in the temperate areas from North of Sydney all the way down to Hobart. There is no end to the number of small things, echidnas, little birds, who go about their business in almost silence in the branches and under their cover on their soft bush mat. They are a tree intimately acquainted with the feminine currents, both Lunar and Venusian, and the Tellurian current that connects us with both the Land and the Beloved Dead. More details about the specific uses of the She-oak can be found at the Glossary page. Other names: Bulloak, ironwood, cassowary tree. Where: Tasmania, Victoria and NSW up to QLD (one species found in the tropical regions); common. Planetary Correspondence: Lunar (near water, or coastal She-oak), Venusian ♀, and Tellurian. Medium Sheoak Broom handmade for use cleansing of ritual space. This tree and the story are a wonderful addition to storytelling and ritual craft for and with children. 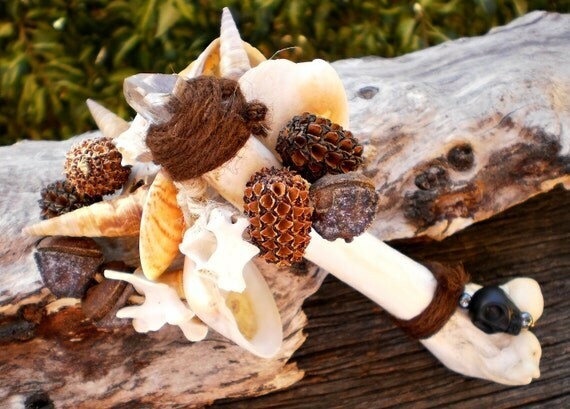 Brush away nightmares, make talismans with children, and let children collect the fallen leaves for kindling. For myself, especially at this time of year, the She-oaks remind me of how little there is between the Lands of my Foremothers, and the Land I call home. With several generations now interred in this earth, I am lead to a deeper contemplation of what it is that weaves us, how we ourselves are made by those who come before us, by the Land we live on, in a complex tapestry, and by those with skills immeasurable. She, Dahl-wah reminds me of what I must remember, skills I must practice and pass on, what stories I keep and hold as sacred, stories of my own Foremothers, and my Beloved Dead.